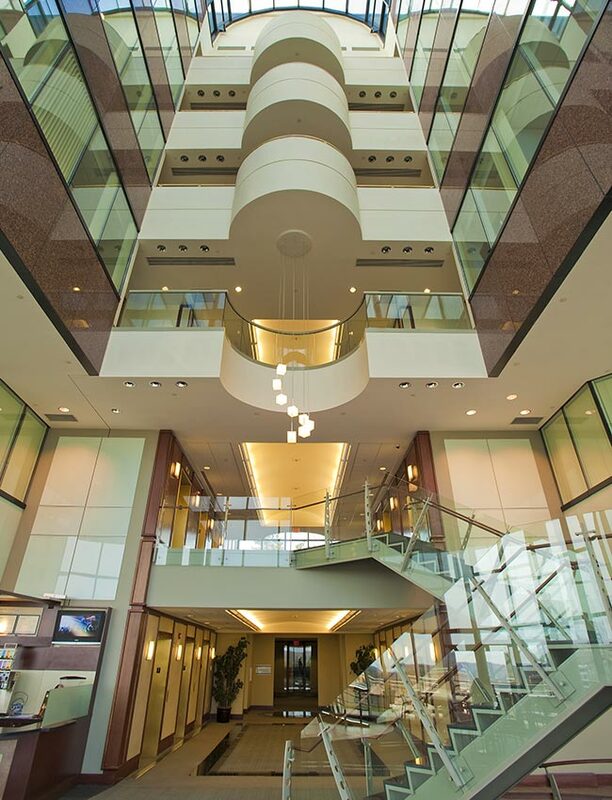 If you are a property manager or real estate management company, one of your main challenges is keeping your commercial and/or office building looking and operating at its best. We know how difficult it can be to find a janitorial service that can ensure a clean, attractive, and spotless operation. We provide office and commercial building cleaning services and porters that won’t just keep your mind at ease, but ensure your tenants are happy with the spaces they rent! Cleaning Services of Colorado delivers commercial and office building cleaning services that are turnkey, comprehensive, and fully integrated. We collaborate with building owners, property managers, tenants, and everything in between to maintain multi-unit facilities at their best. Our janitorial solutions and porters are capable of serving any size building or operation, from large commercial office towers, high rises, plazas, malls, and multi-tenant properties across Denver. Our cleaning company provides scalable and flexible cleaning plans to suit the unique needs of your building – at your service 24/7, 365 days a year, during operating hours, after hours, or a combination. We will always ensure your building is clean, attractive, healthy, and keeping your tenants happy. Cleaning of common and high traffic areas. Keeping spotless lobby areas and entrances. Freshening the air of common areas. Sanitation of restrooms, both private and public. Sweeping, vacuuming, mopping, carpet cleaning. Dusting of surfaces, furniture, windows, and open spaces. Keeping entrances/exits/elevators clean and obstruction free. Disinfection of doorknobs, escalators, push plates, railings. Interior wall and window cleaning. Removal of wastes, trash, and recycling. At Cleaning Services of Colorado, our team of professional cleaners are thoroughly trained on the special requirements of your building and will work hard to deliver complete satisfaction. Our company is insured, bonded and licensed to provide total confidence in our office and commercial building cleaning services. We have the experience and expertise to clean your building like it is our own.